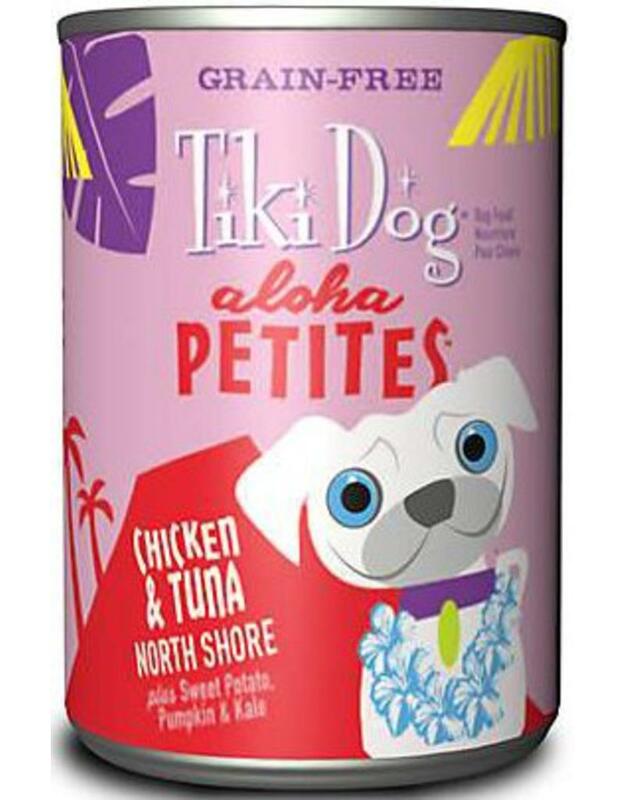 Give your furry friend the taste they love and deserve with Tiki Dog Aloha Petites! This grain free line of canned food is complete and balanced with everything your dog needs for healthy diet! Contains nutritious vegetables, such as mung beans, sweet potatoes, carrots and kale for the vitamins and minerals your pup needs. It also contains added vitamins and minerals for your fur baby’s overall health and well-being. This line of Tiki Dog is great for small dogs of all life stages. Made without white potatoes, corn, rice or wheat, so you can feel good about feeding this to your dog. The Pet Beastro loves Tiki Dog and we know you will too!